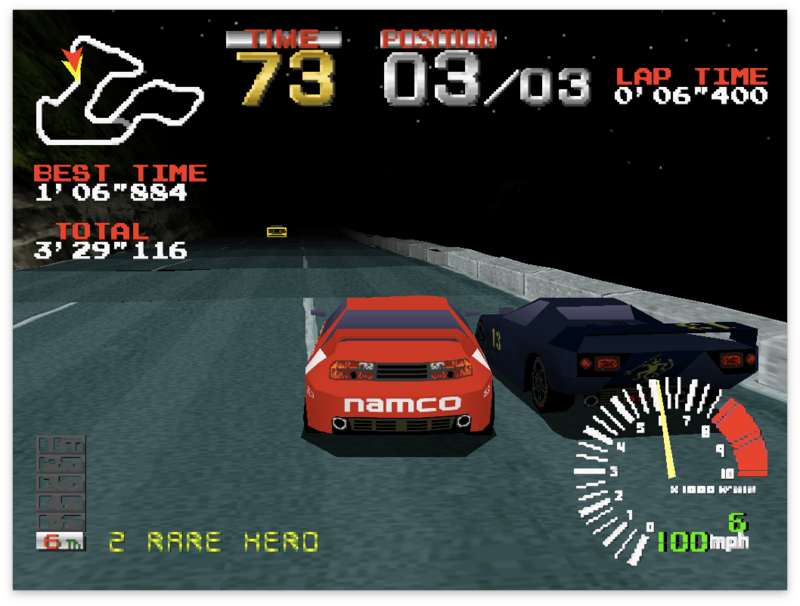 Ridge Racer was one of the launch titles for the original PlayStation back in 1994/1995. It first made an appearance in the arcades in the latter half of 1993. When you think this was even before Sonic 3 was released for the Mega Drive, the differences between home and the arcades was huge. As a result, the Playstation port had to be totally redone to be made compatible for the home console. Designed by Namco, they also had the first game in the Tekken series launched, and each had their own hidden final bosses, but Ridge Racer had a unique take. For a racing game, you wouldn’t expect a final boss, but in Ridge Racer there was one car which showed the end credits if you did finally beat it. It was called the devil car. Black, almost like the Batmobile in looks, and one false turn and it’d beat you in the race, it was incredibly fast. You’d first have to complete all four tracks in Grand Prix, finishing 1st, including each difficultly mode, you’d then have to start Time Trial mode. It appeared in a unique way. Instead of starting the track with notice that it was there, it would only appear about a third into driving across the track, parked by the side near the bridge, and you’d see it in the rear view. Suddenly, panic consumes, you’ve gone from just easily overtaking the standard cars with only colour to differentiate them, to making sure you accomplish a perfect track. The attempts it took me were well over twenty. There’d be a turn near the very end which needed the perfect power slide. One hit, and you bump it, you slow down, and the devil car will zoom past. Game over. But, once you finally completed it with just one near miss into the barriers, you finally beat it, and the car is yours. Suddenly, you can just leave the car at the starting track, time yourself for 15 seconds, start the race, and still win out. It’s sequel, Ridge Racer Revolution, had the devil car, but also the ‘Angel’ car, which was even faster, but that can be for another time. 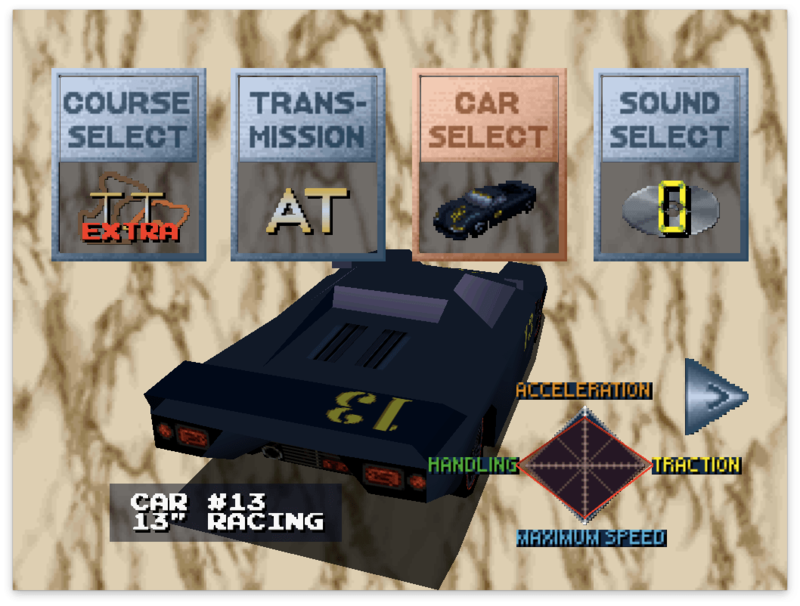 Even now there’s no challenge in a racing game that was as difficult as the ‘Devil Car’. 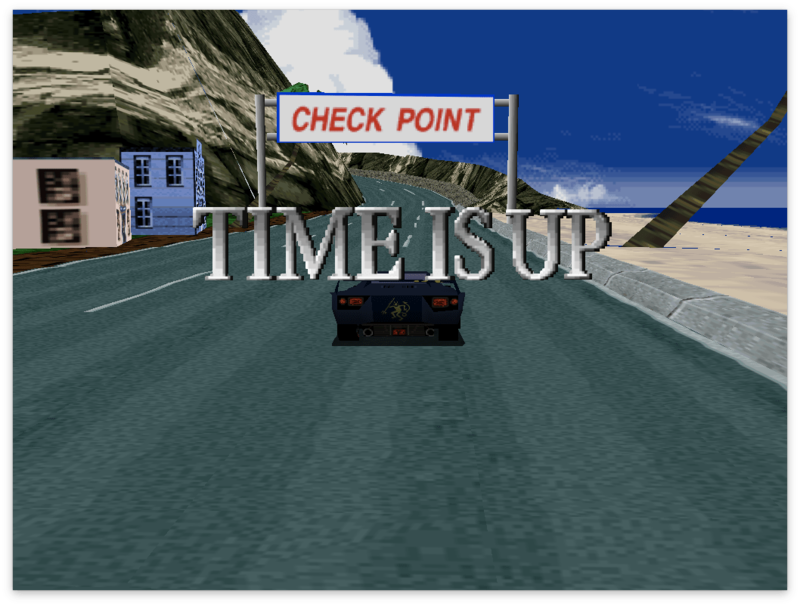 It tested your focus and absolute timing in when to turn the corner at the right speed. If you succeeded, the reward was great. If you didn’t, you’d be at the beginning once again. Ridge Racer is fast becoming a relic, one that seems of no chance of being fully revived. But when you can, find the originals when you can, and try to beat the Devil Car.